Your stay at Maison Fahrenheit, a Fahrenheit Hospitality hotel. 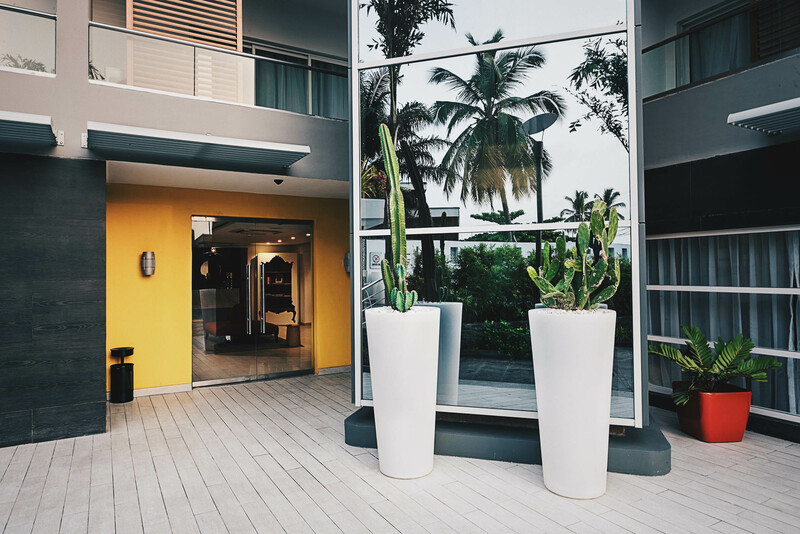 With an unparalleled and stunning design, this “Hip” Luxury Boutique Hotel in the heart of Victoria Island, Lagos offers an encounter like no other. Featuring 26 beautifully designed Standard rooms plus 4 individually unique suites. Each room has been personally designed by Svengali interior designers who are best known for their work around Nigeria’s premier locations. Fahrenheit has created a new paradigm in the Boutique Hotel experience that speaks to a sophisticated global audience, Come and join us. Relax & chill, take in the views at RUE80, Maison Fahrenheit’s rooftop bar. Breath-taking views of parts of the Atlantic Ocean is the backdrop for this avant-garde rooftop Lounge. Become a part of our lifestyle of positively interesting and welcome unabashed decadence. Find out more about our Rooftop Bar and Lounge. Treat yourself to some fine dining at La Spiga! Here at Maison Fahrenheit, we are an inspired afro-continental culinary experience. Do you crave culinary indulgences that will make your eyes roll up in your head, that is smooth on your pocket, yet exciting to boot? Find out more about how Maison Fahrenheit can be your perfect destination for the end of the year celebration. Buffet or set menu functions at our La Spiga restaurant that holds up to 60 people, or our courtyard buffet/cocktail style that could entertain up to 150 people. Or how about our rooftop bar RUE80 for buffet, canapes and a live BBQ for up to 200 people. Contact. How to find us.